Jewellery is one of my favourite things to buy – I love stacking everything and I don’t really know when to stop, so I just keep buying more. 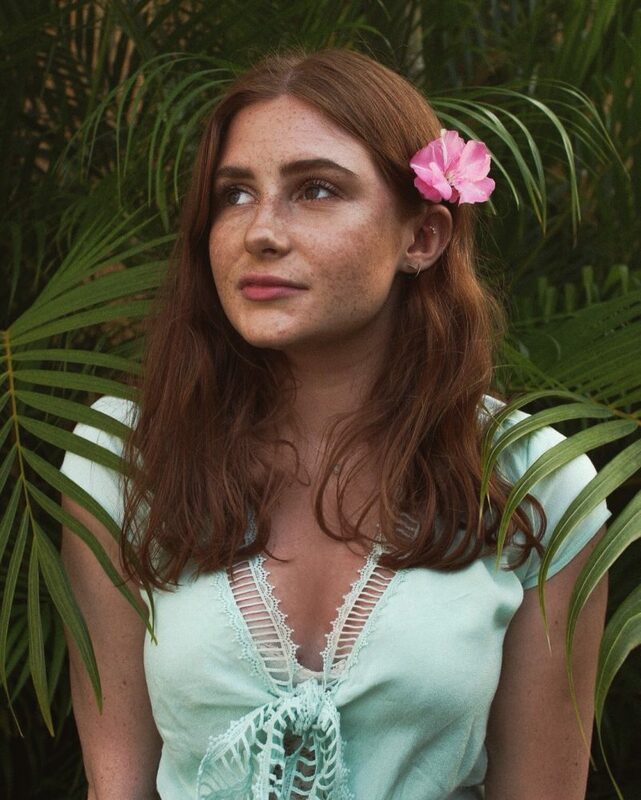 I generally find myself searching through places like Etsy, Ethical Market and Not on the High Street when I’m looking to buy jewellery – I find small businesses have such high quality jewellery for a way more reasonable price, and they usually have more unique designs too. I think it’s so important to support small businesses, so I thought I’d share with you guys the pieces I have that are absolutely stunning and come from brands that you’ll definitely want to hear about. AHNE are a brand I just recently discovered, and I honestly want to buy everything they make. 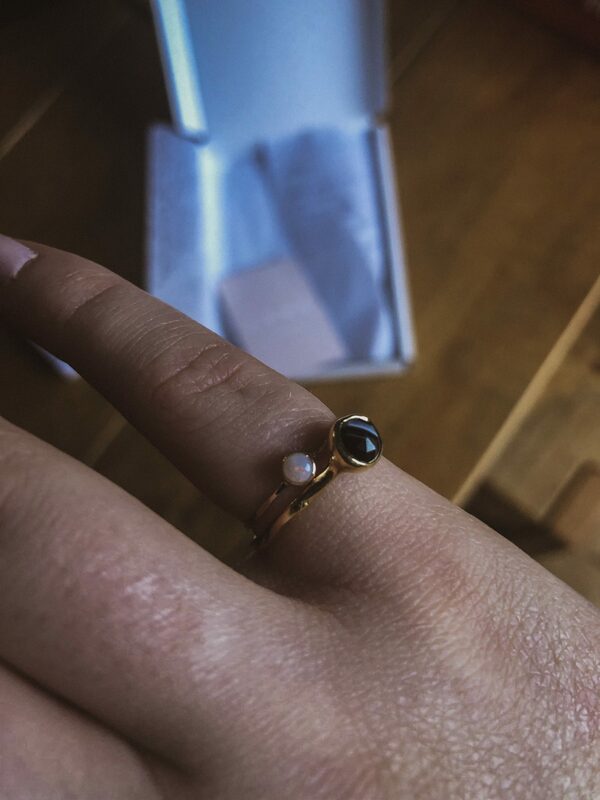 I currently only have the Tiny Opal Ring (pictured above), but I’m already eyeing up the London Blue Topaz Ring, Tiny Labradorite Ring, Sapphire Bracelet and Grey Moonstone Bracelet – I know I have a problem. My favourite thing about AHNE is that all of their jewellery is produced in a sustainable and environmentally-friendly way, and all handmade to order in London. They also source their gems from ethical UK gemstone suppliers, and the logo is designed with three bars across the A to represent the three generations of women in the founder’s family. Honestly there’s nothing I don’t love about this brand and as person who loves dainty jewellery, I really haven’t found anything better. You can also get the majority of the rings in eco-silver or 14k gold-filled! When I’m looking for more bohemian or statement pieces, Honey Sweet Jewellery is my new go-to. They’re run by the super lovely Charlotte (who, if you aren’t already following on Instagram, you totally should be), and they have so many gorgeous pieces at such reasonable prices. 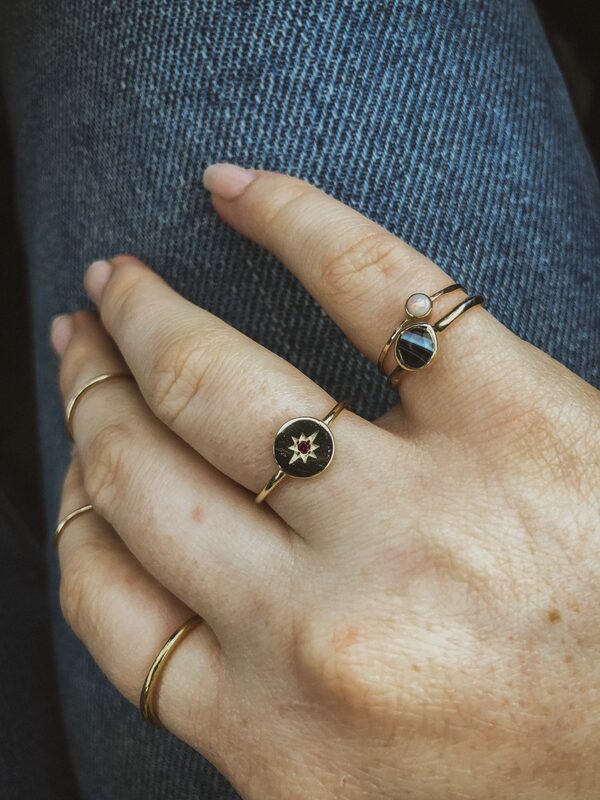 I have the Greta Ring (pictured above on my ring finger) and I absolutely love it. It’s sterling silver and resizable, and I’m just really into the bohemian vibes. Their product shots are also so aesthetically pleasing to me, and the whole vibe of their brand is just ultra-cool. If you’re looking for majorly on-trend pieces that still have a unique, one-of-a-kind vibe, you definitely need to check them out. Raniska by Rani is another brand that I just recently discovered, and I love their dainty, minimalistic pieces. 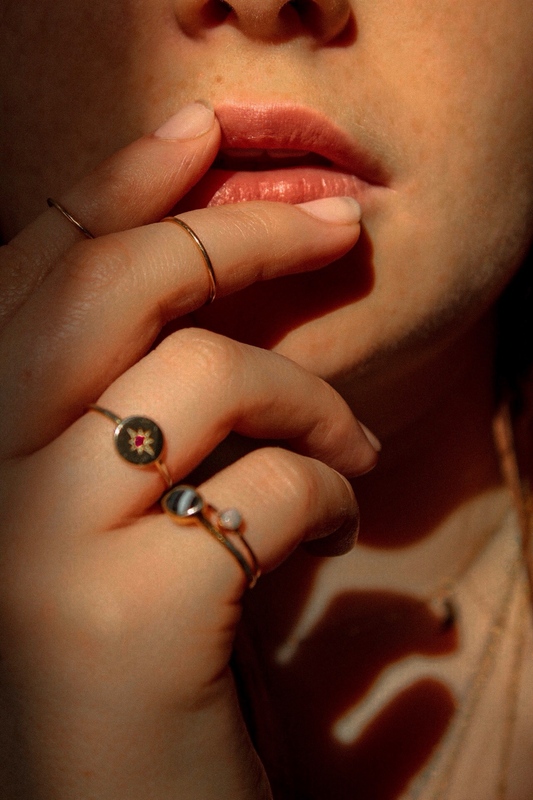 The two midi rings I’m wearing in the picture above are their Alaina set of two, which you can get in 14k gold filled, rose gold filled or sterling silver. 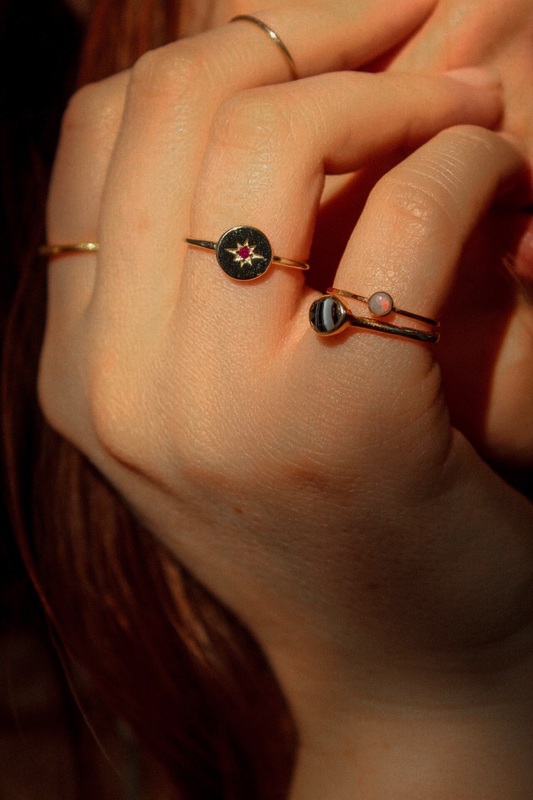 These are super high quality and are exactly what I want from dainty gold rings. They also have some gorgeous necklaces that I’m really interested in, and I love that the majority of their pieces come in a range of metals – so you can match with the rest of your jewellery! Wild Fawn Jewellery is a place I discovered a while ago, and is one of my go-tos for dainty earrings. They’re super minimalist and have perfect everyday pieces that you’ll never want to take off. I have the 9ct Gold Bar Earrings, which I haven’t taken out since I bought them around a year ago – I think that says something about the quality. 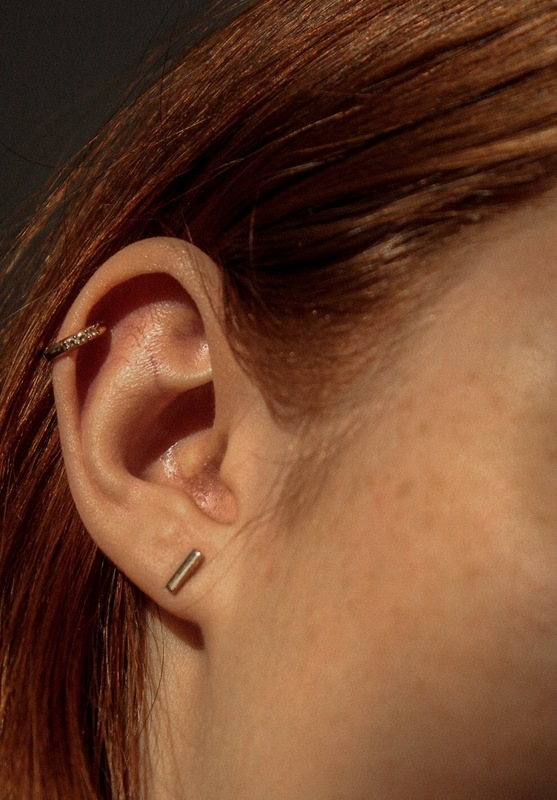 This brand makes me want to get loads of new piercings just so I can buy all of their studs – I also have my eye on their silver hammered band ring. What I really love about this brand is that they are eco-friendly, this is why shopping small businesses is so much better! I found these guys on Etsy around a year and a half ago and I’ve been a fan ever since. Although Seol + Gold have grown a lot since then (they even have a 15% student discount with Student Beans! ), I still feel like more people need to know about them. I really love their delicate earrings, but they also do some absolutely beautiful gold necklaces. I currently only have the 9ct gold cubic zirconia huggie hoop (pictured below) and 9ct gold constellation cz stud (pictured above), but I could easily blow through all of my cash on their website. 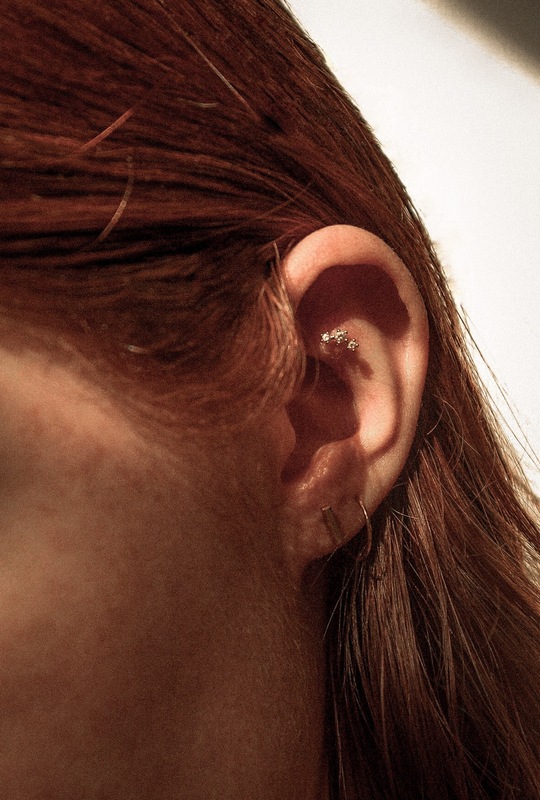 My favourite thing about them is that you can also buy either one earring or two, which is so perfect if you’re like me and have random cartilage piercings! No matter what you’re looking for, I guarantee you’ll find something you love from this brand. 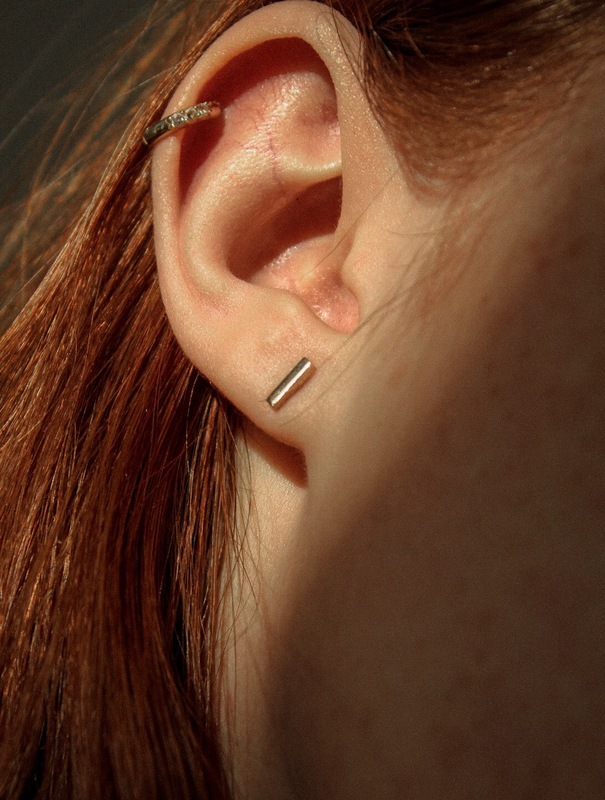 I definitely want to mix up my ear jewellery more this year, so thanks for the recommendations! I’ve ordered from and LOVED Oreilia London, they’re on Instagram too and they’re pieces are so dainty and pretty. Yeah they have some gorgeous stuff!